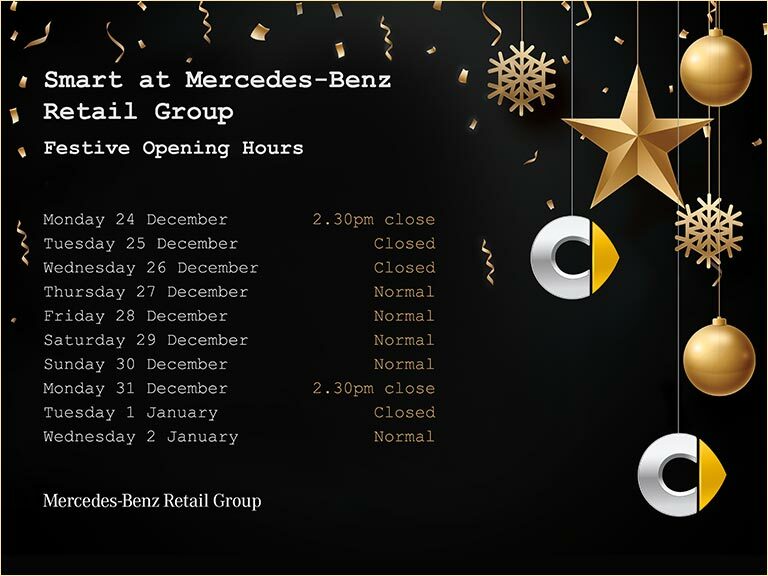 Visit the team at Mercedez-Benz Retail Group today for your MOT. In addition to our expert sales in new and used smart cars, we also have a comprehensive aftersales centre where all of your servicing needs can be met. Once your car reaches three years old it is required by law to have a valid MOT certificate. You then need to have your MOT renewed each year to ensure that it is legally safe for you and others when on the road. At Mercedez-Benz Retail Group, our dedicated and experienced team of technicians can test your smart car efficiently and effectively to ensure that you are compliant. You can drive away the same day, and may only need to wait for an hour for the servicing to be complete. If your car fails its MOT and further servicing or repairs are required, we’ll provide full guidance and comprehensive details of how we can get your car back to being as good as new. If you would like other services added to your MOT, such as filter cleans or fluid replacements, speak to one of our advisers at the aftersales centres about what we can offer you. Call us today or use the Live Chat and you can book an MOT in minutes. You can also complete the online enquiry form and one of our experts will get back to you promptly.